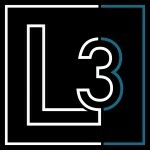 THE L3’S OPEN HOUSE’S THIS WEEKEND ON 5/19 & 5/20 ! It seems as if inflation is starting a slow creep back into Costa Mesa supermarkets and gas stations—something that hasn’t happened for quite a while. For families on a tight budget, it’s hard not to notice—especially when it comes to trying to put something extra aside as a long-term investment. By way of partially alleviating that concern, it’s worthwhile reviving some elevating insights from past eras. They stem from a chorus of exceptionally qualified voices when it comes to sophistication in investing: namely, economists, millionaires, and billionaires. That’s investment advice that doesn’t beat around the bush. It’s all the more convincing when you consider its source: the first great American oil baron—John D. Rockefeller. “Land…is by far the greatest of monopolies…and it is the mother of all other forms of monopoly.” –Winston Churchill, statesman. “Landlords grow rich in their sleep without working, risking, or economizing.”—John Stuart Mill, political economist. “Ninety percent of all millionaires become so through owning real estate.”—Andrew Carnegie, industrialist. “The best deal investment you can make is to buy a primary residence that you’re the owner-occupier of.”—John Paulson, billionaire hedge fund manager. “Buy real estate when other people want to sell. Hold what you buy!”—John Jacob Astor, first American multi-millionaire. “For any and all your own Costa Mesa real estate matters, just call!”—L3, your Costa Mesa REALTORS®.